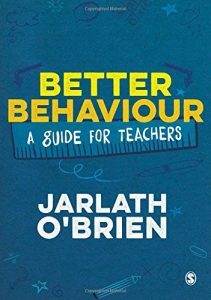 Great book written by Jarlath O’Brien which illustrates how a perceptive approach built on understanding your children can lead to happy and healthy learning environments. It will empower you to improve the behaviour of the children you work with. Fagus is mentioned in the book as a method of improving the quality of the information schools hold on the social and emotional development of their pupils.